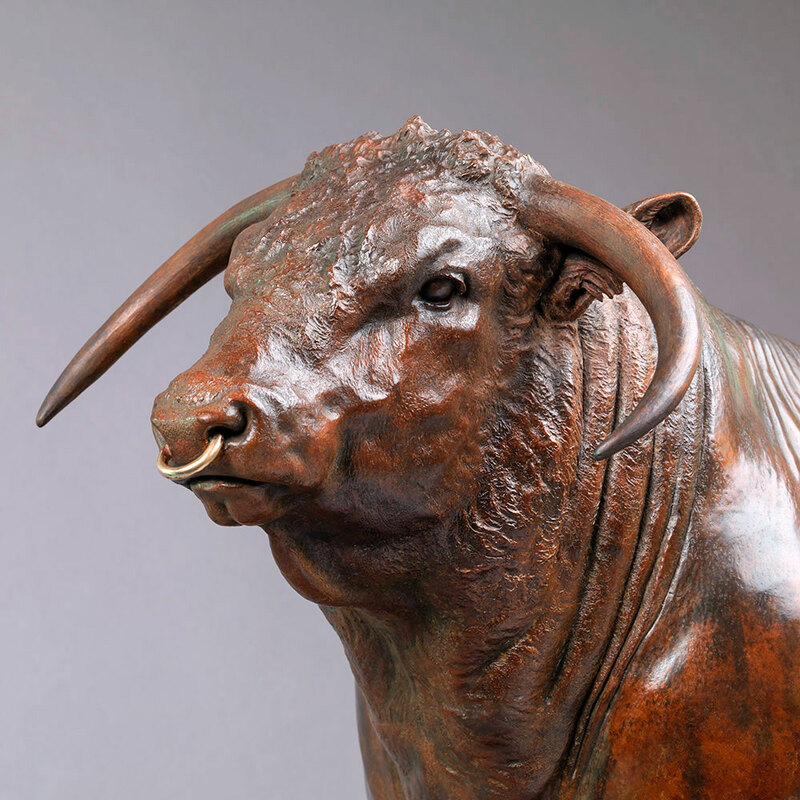 British Longhorn Bull - Sculpture by Sculptor Nick Bibby. 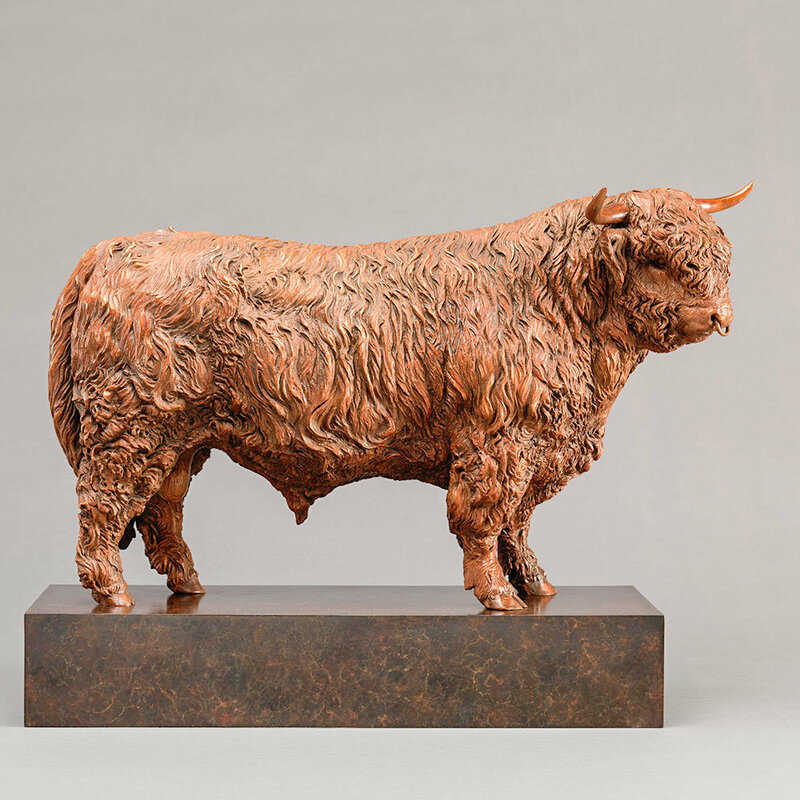 The British Longhorn – One of our oldest native breeds of cattle and one of the most beautiful, with their long, sweeping, horns and brindled coat. 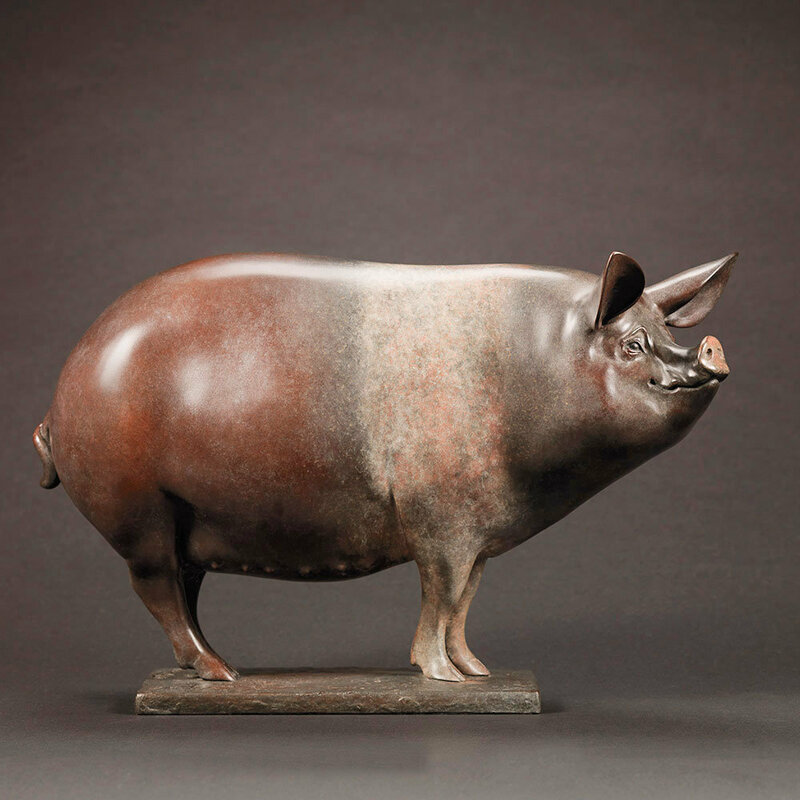 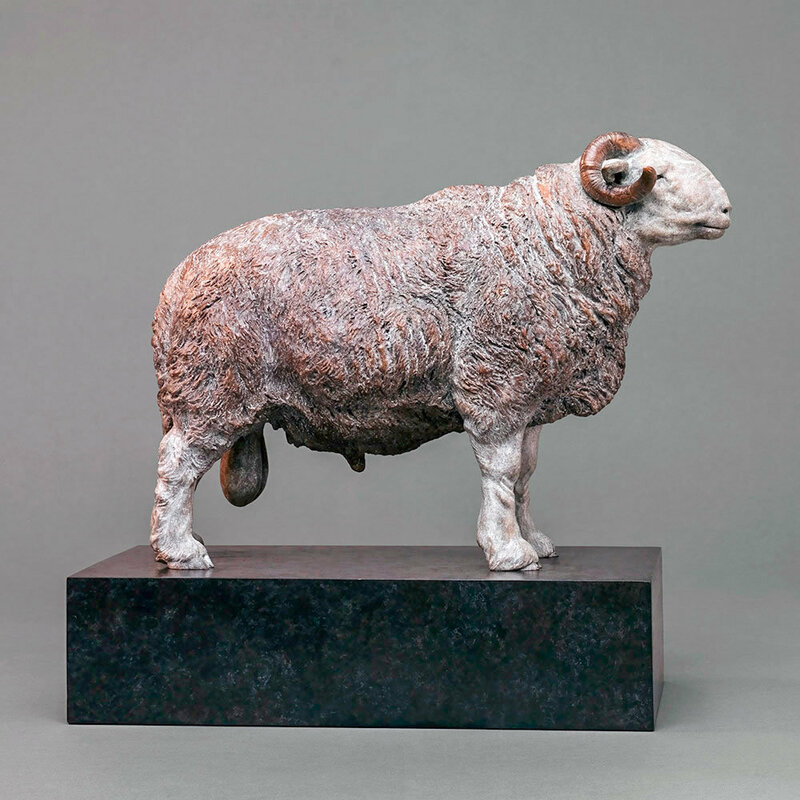 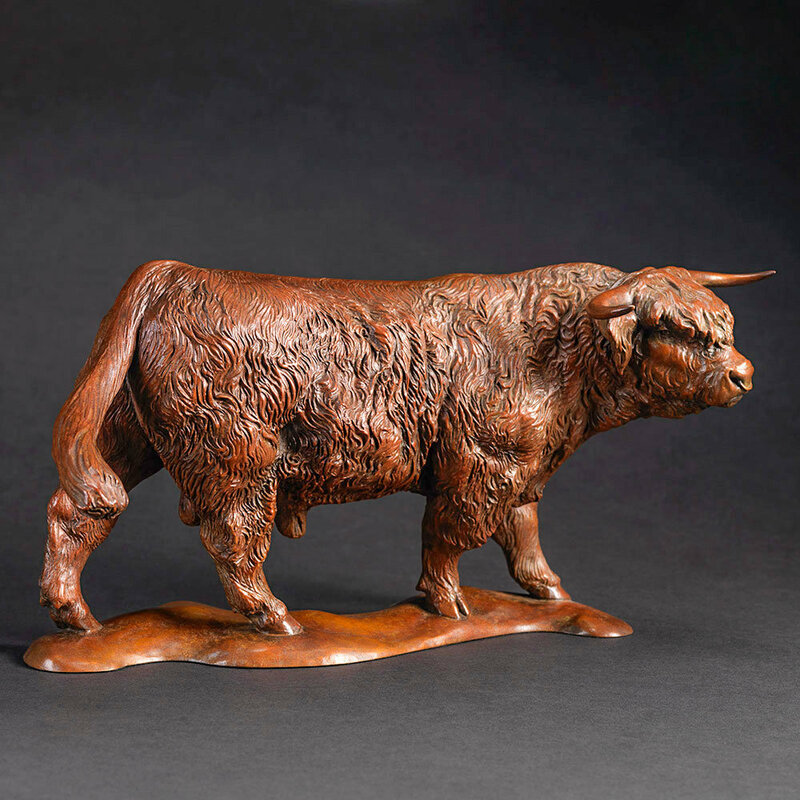 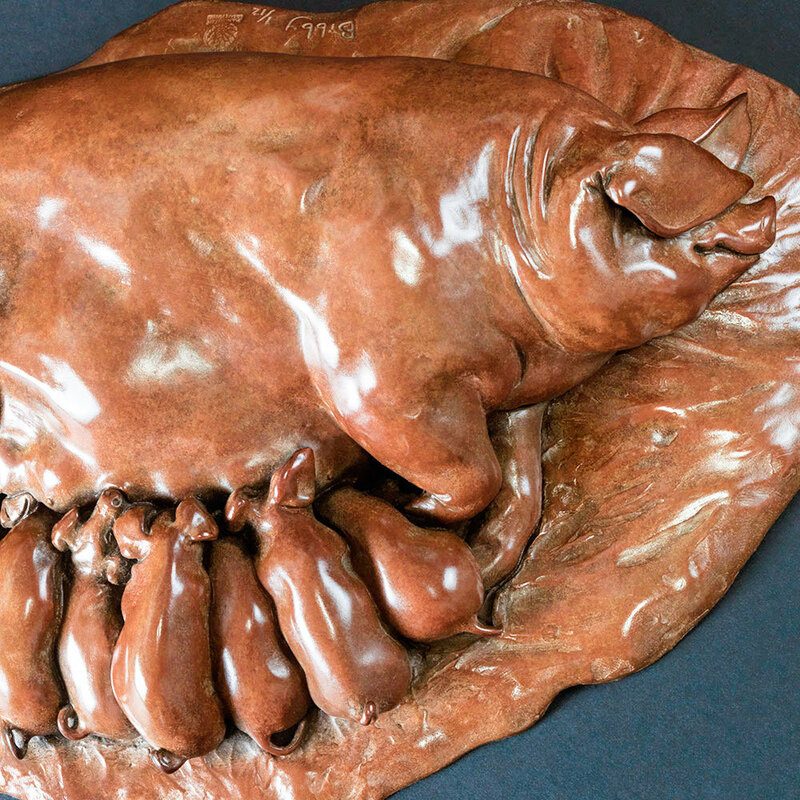 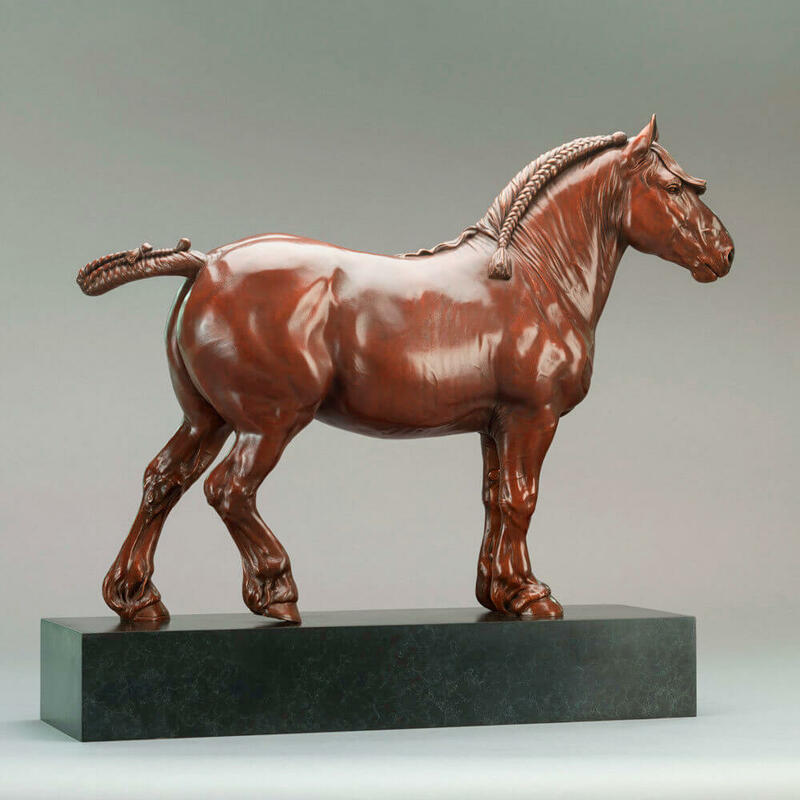 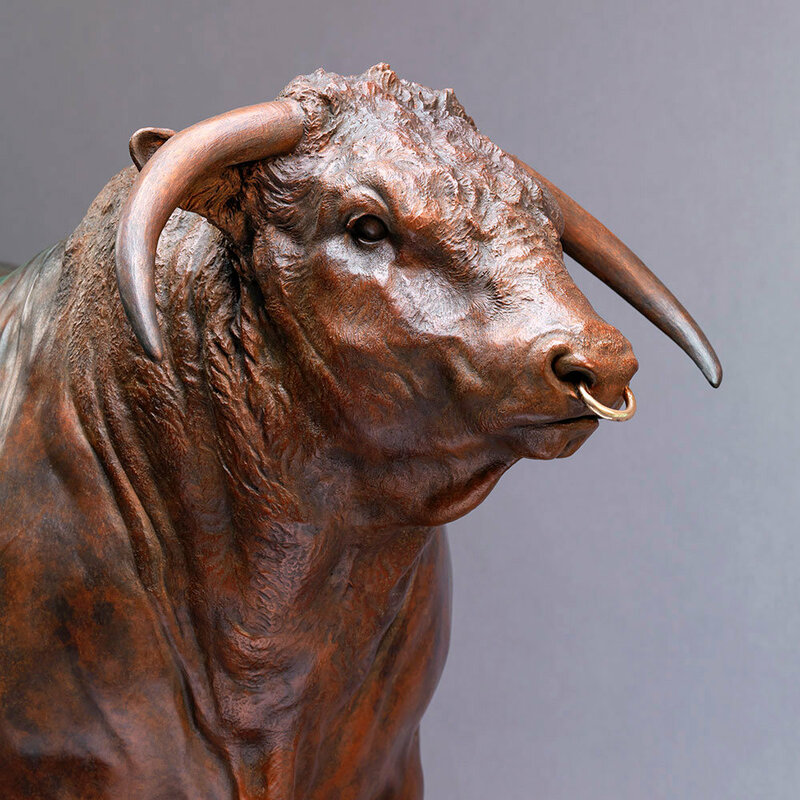 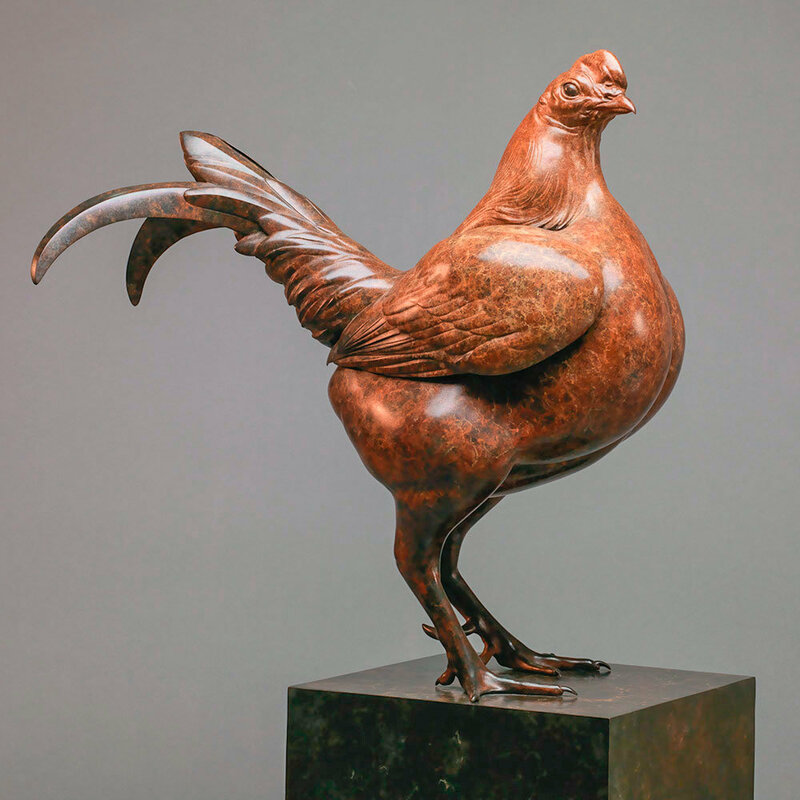 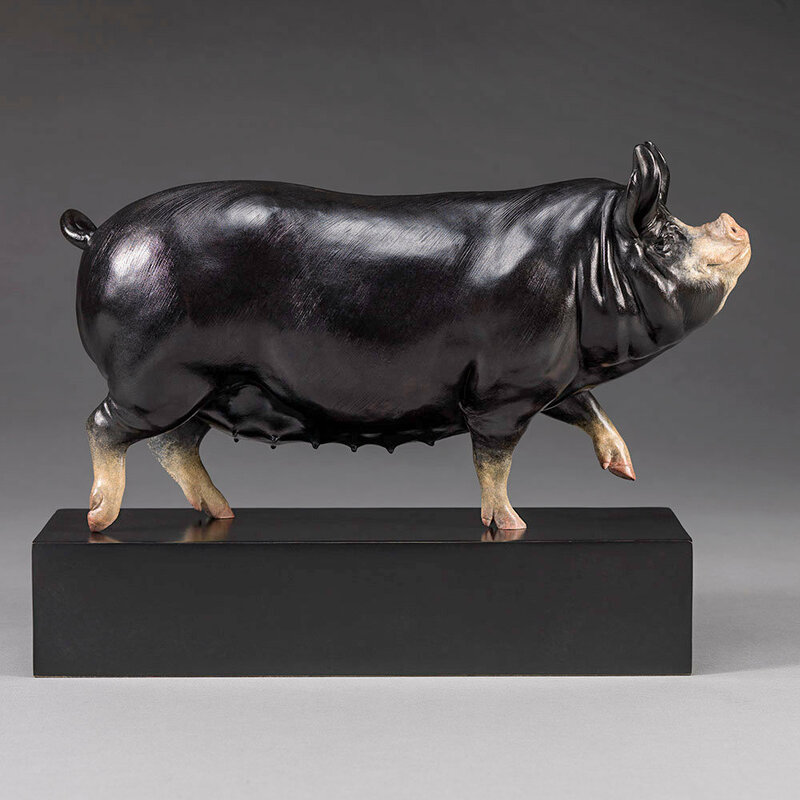 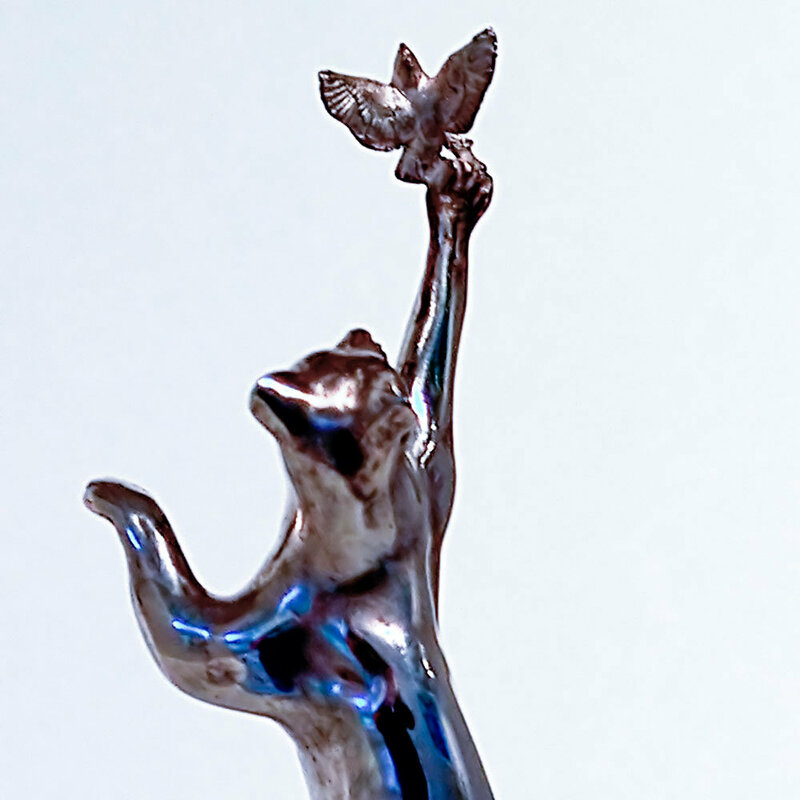 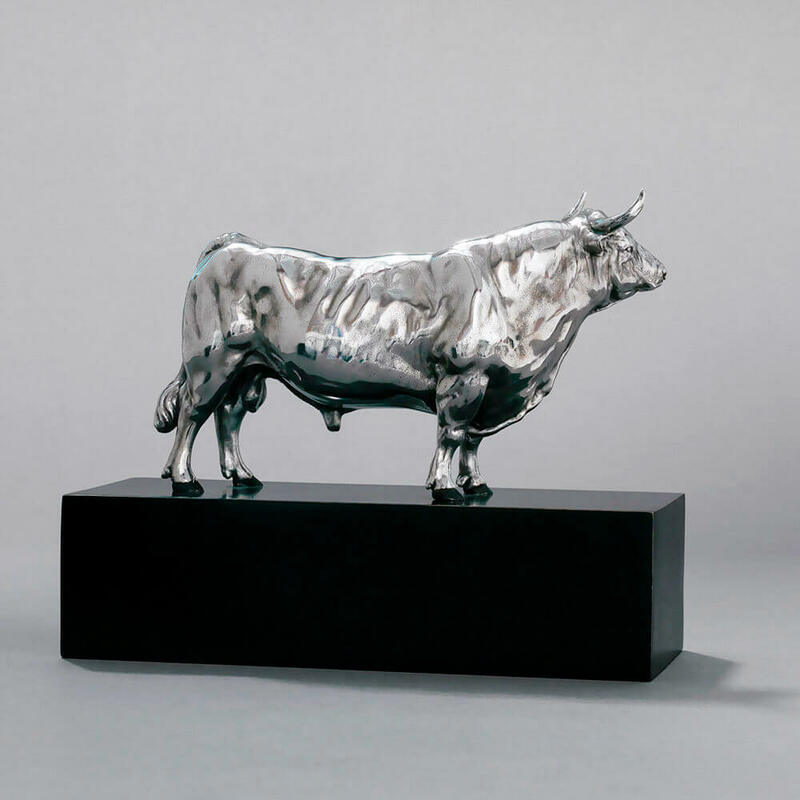 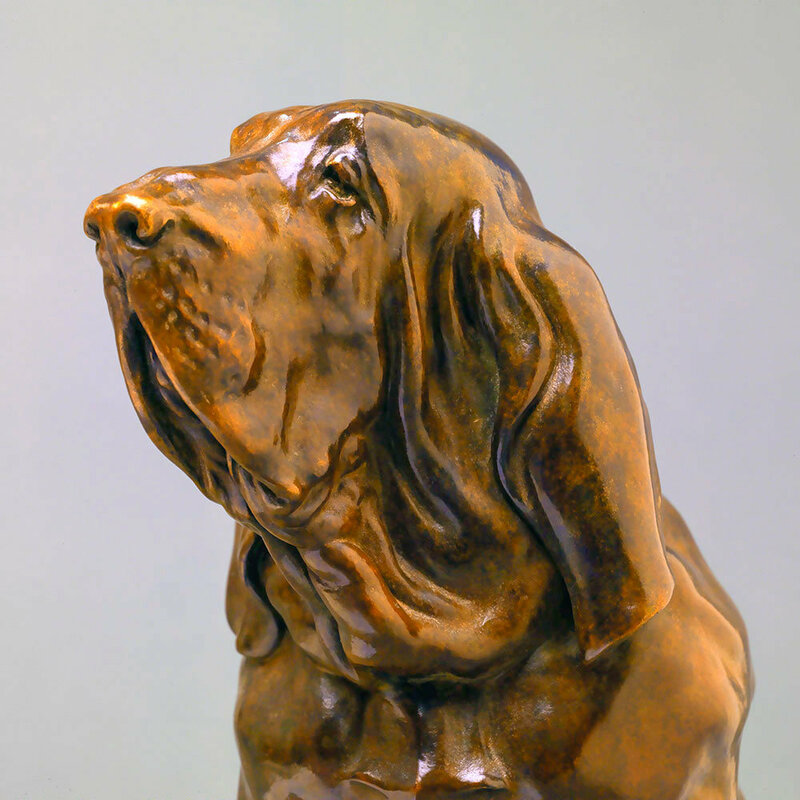 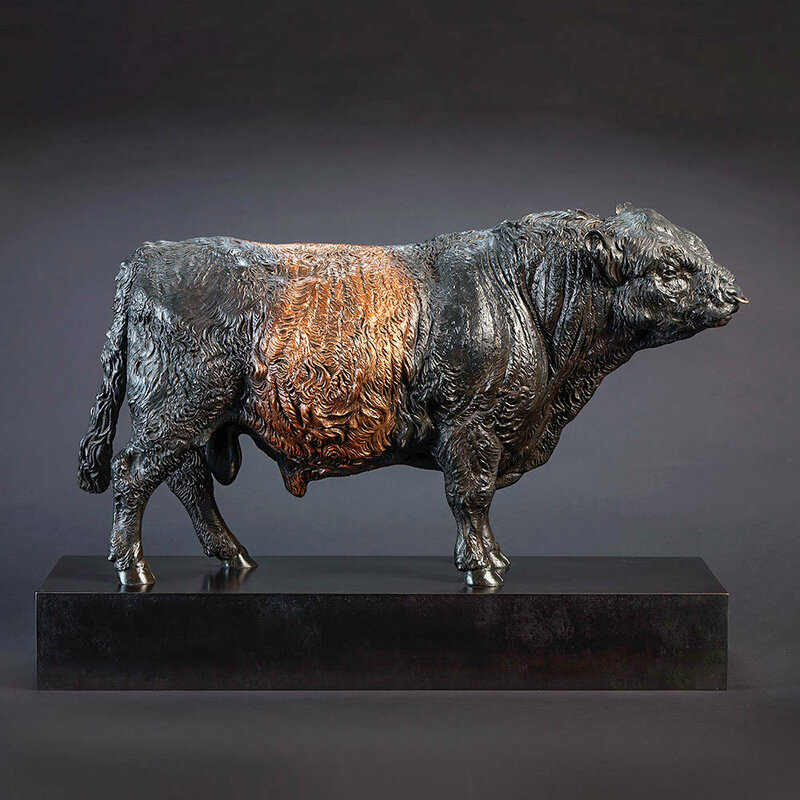 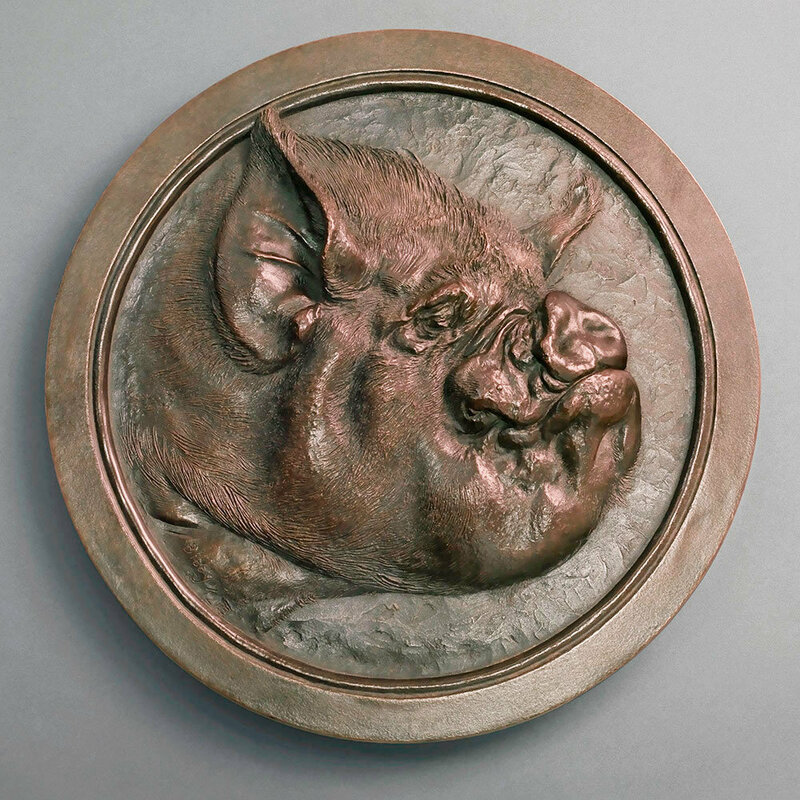 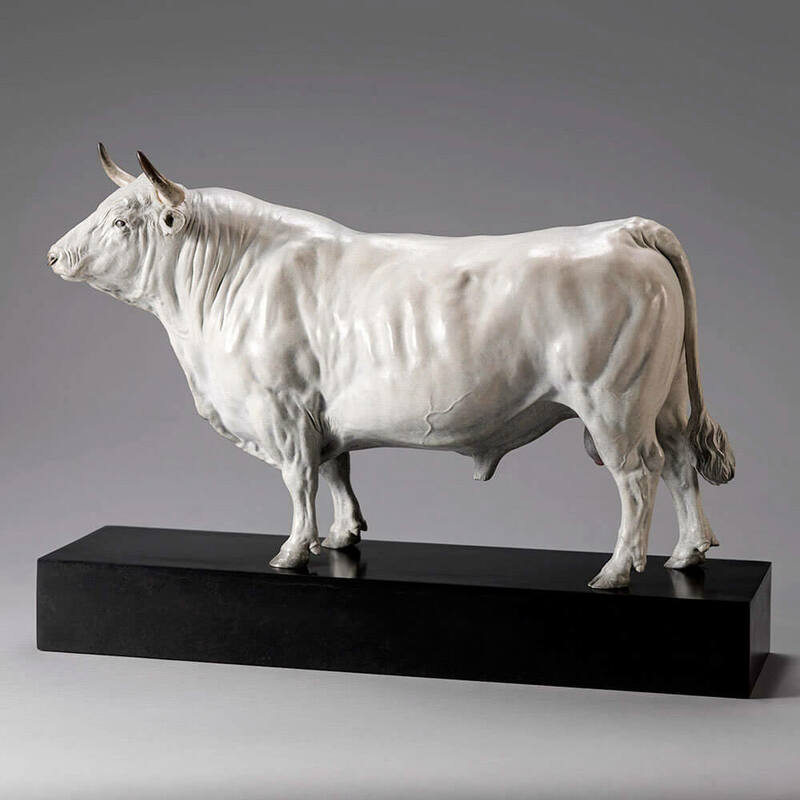 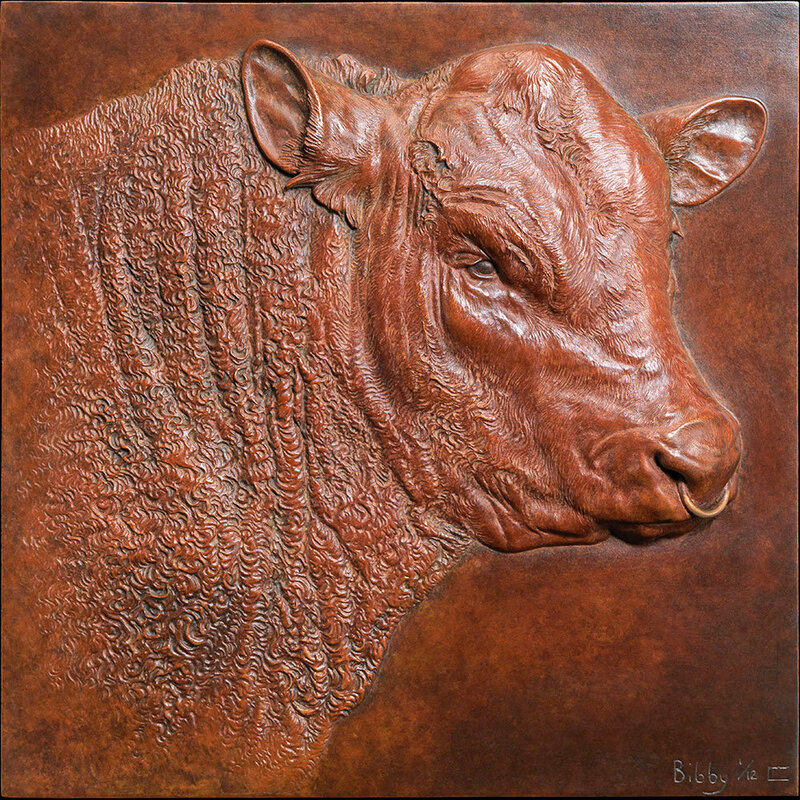 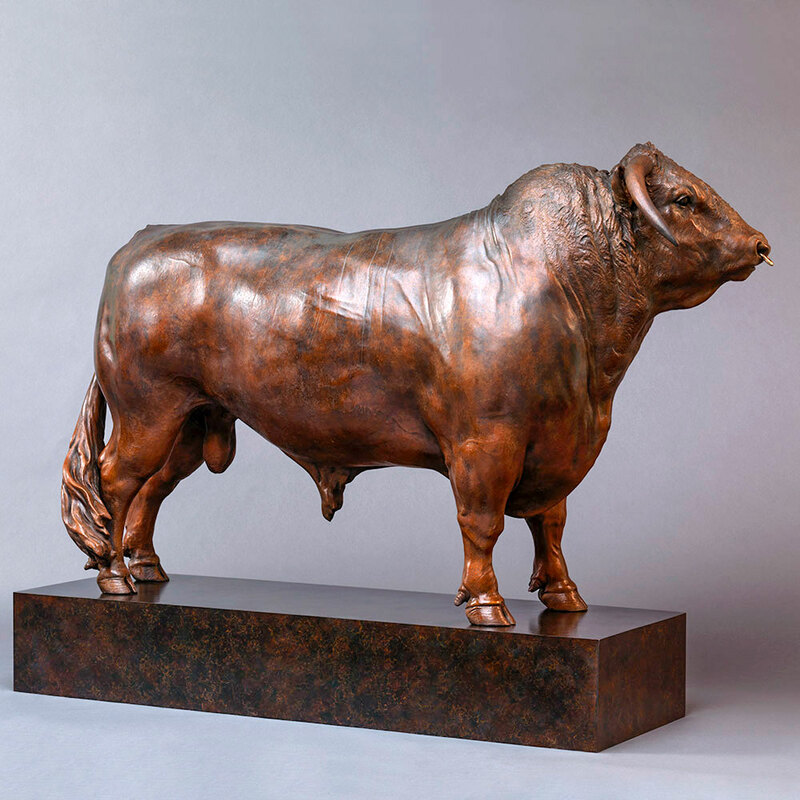 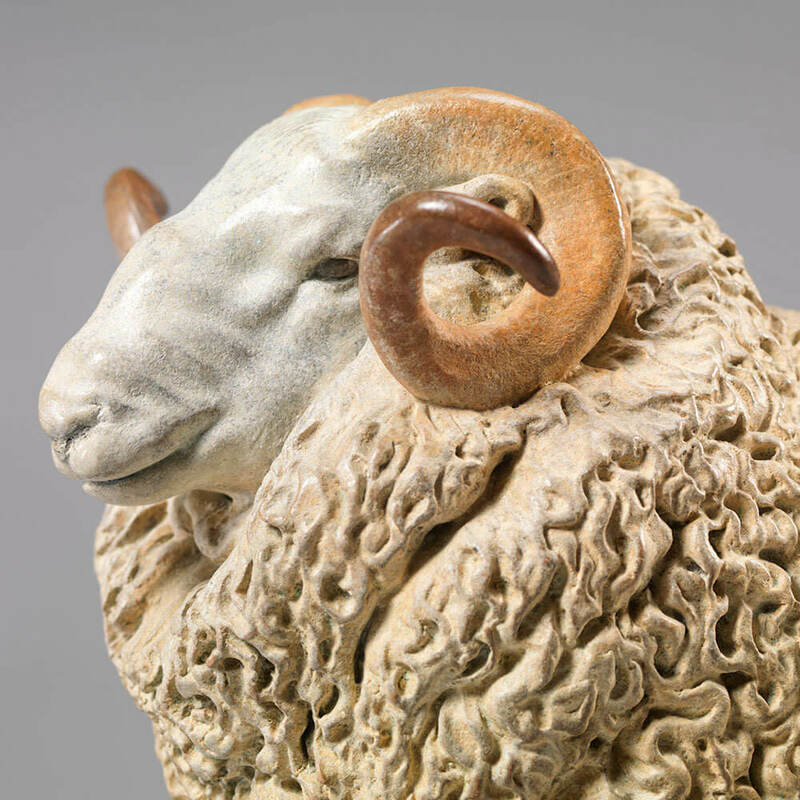 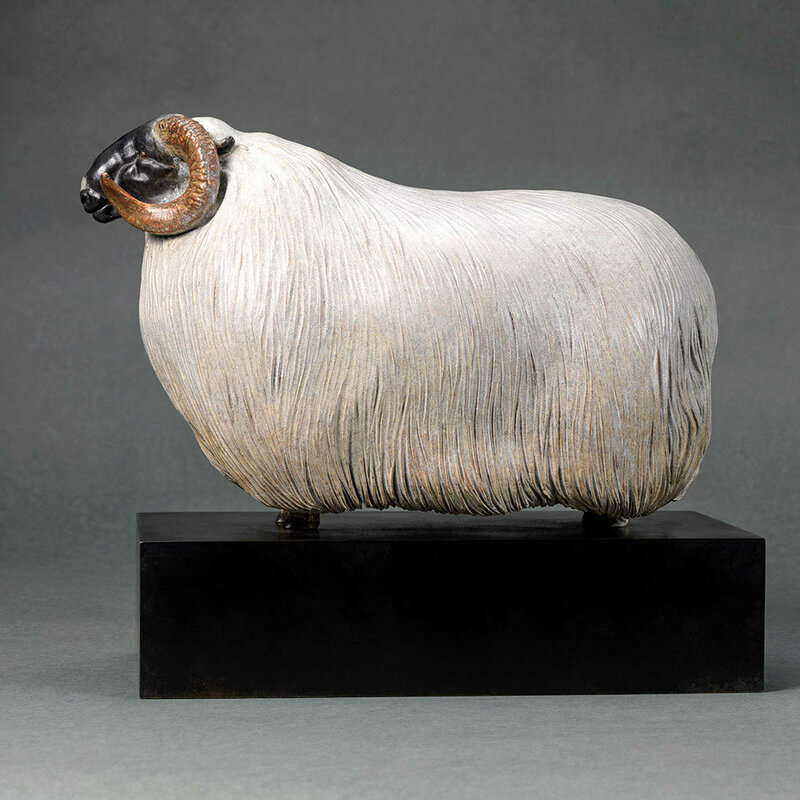 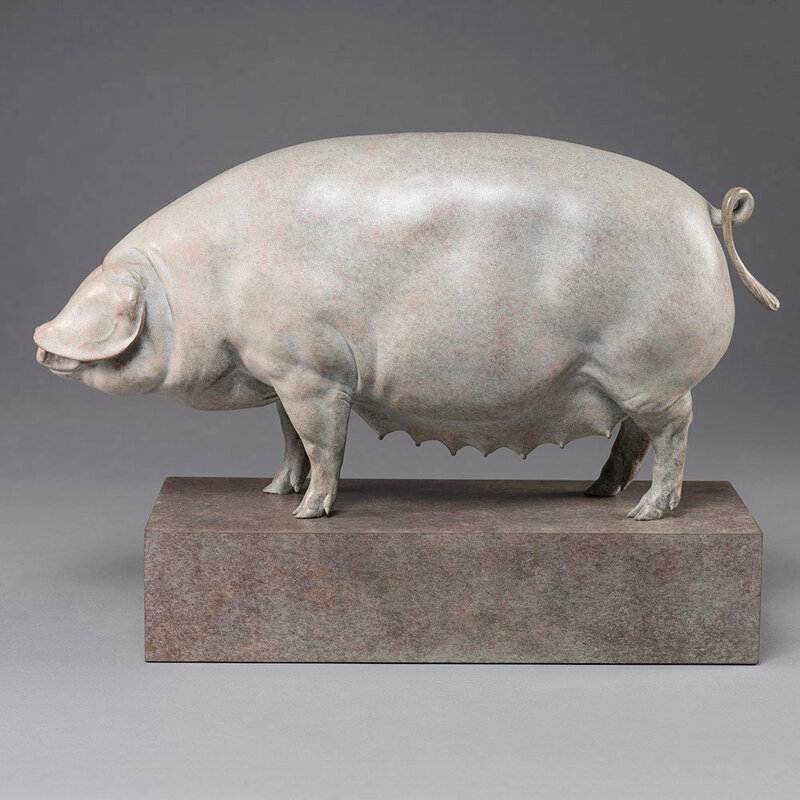 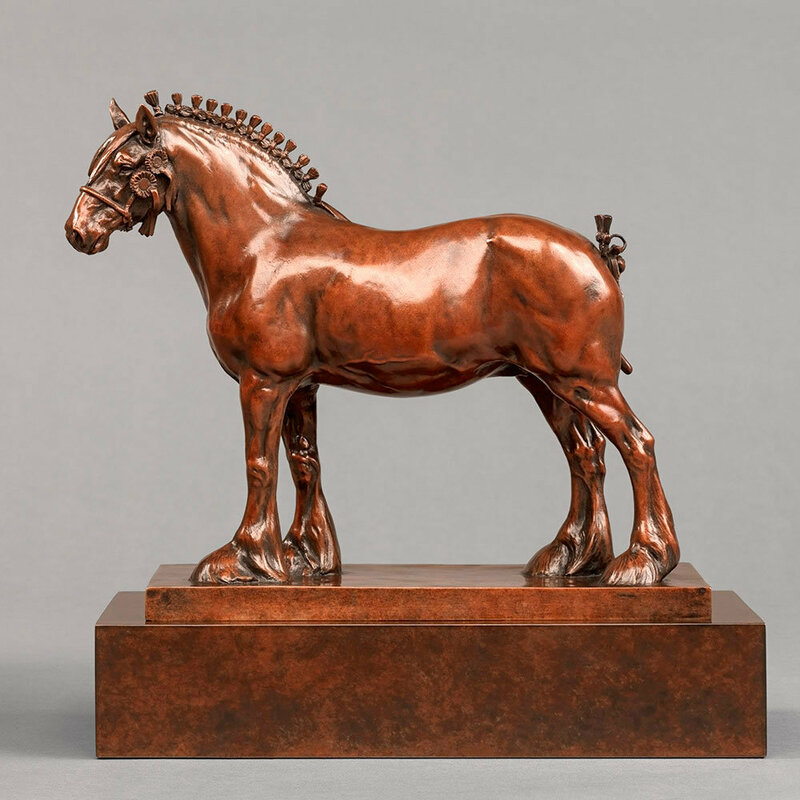 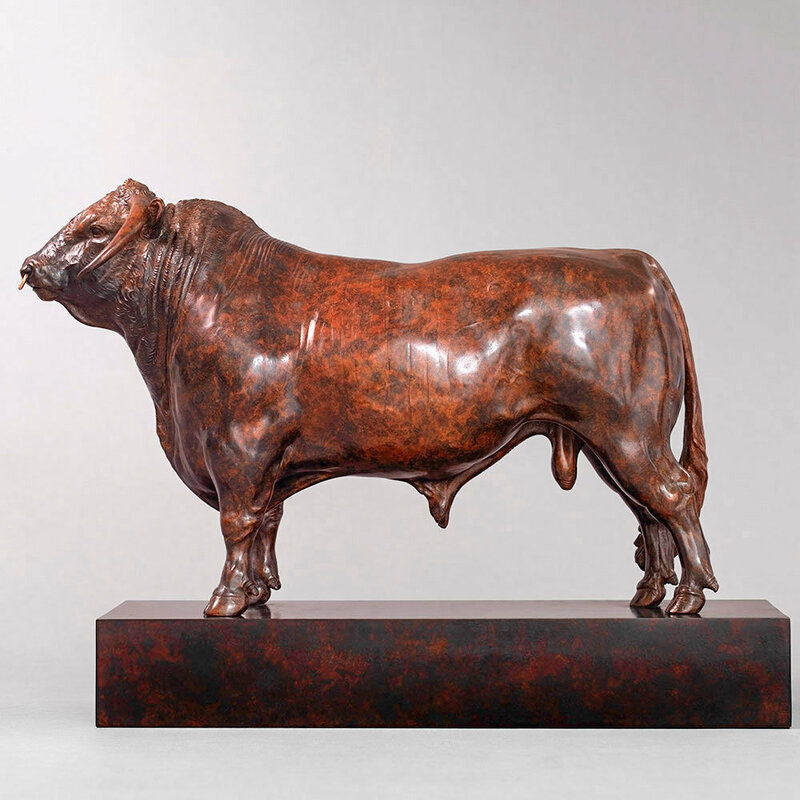 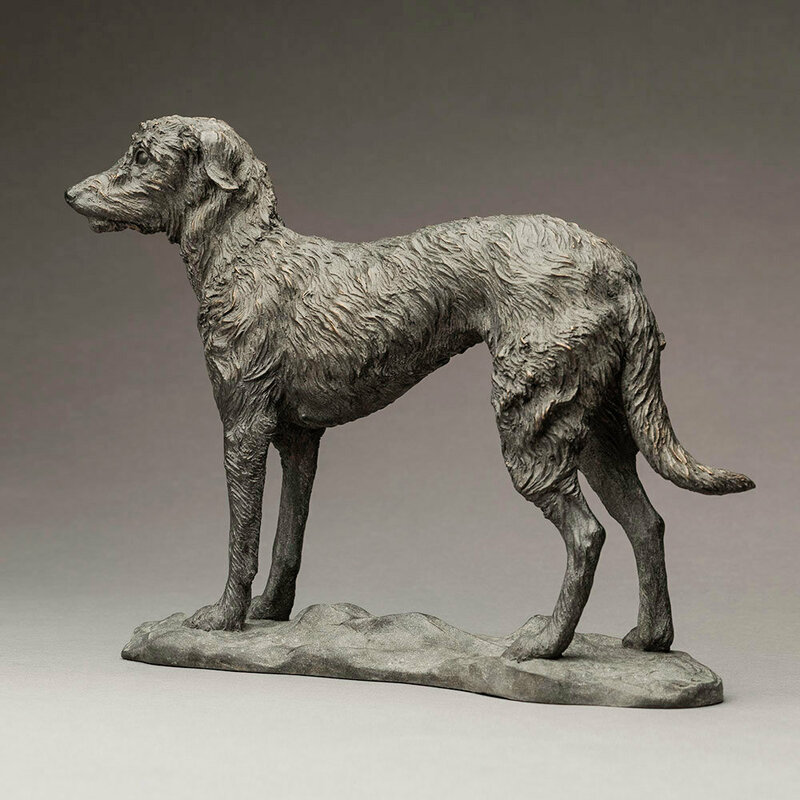 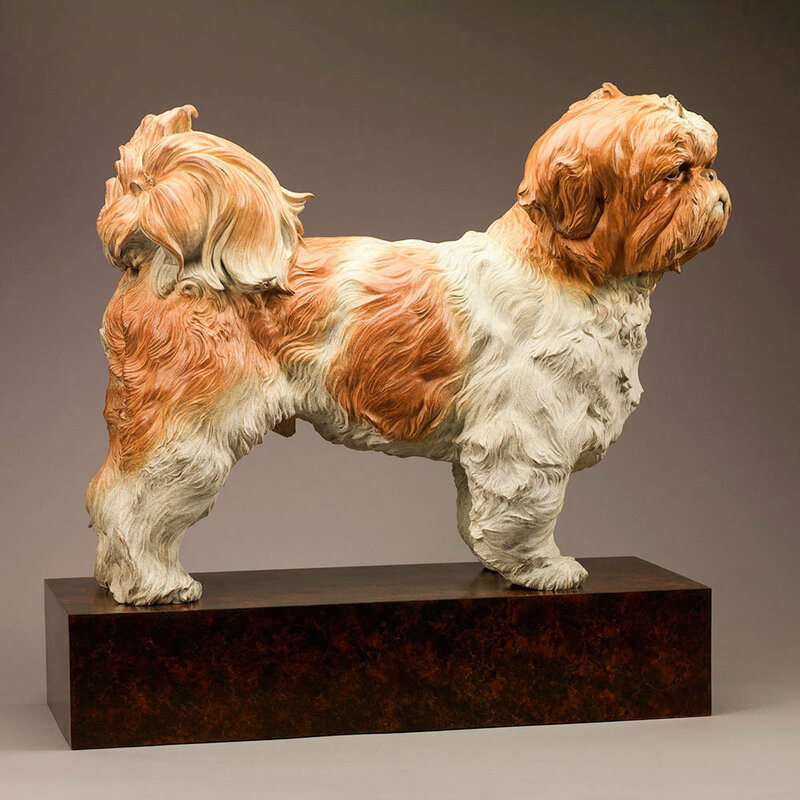 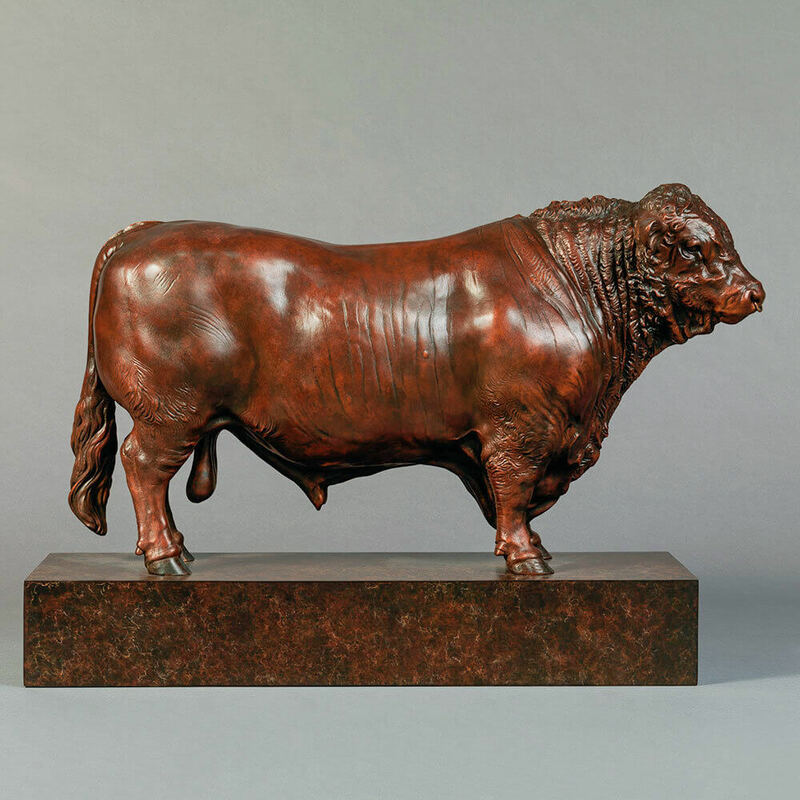 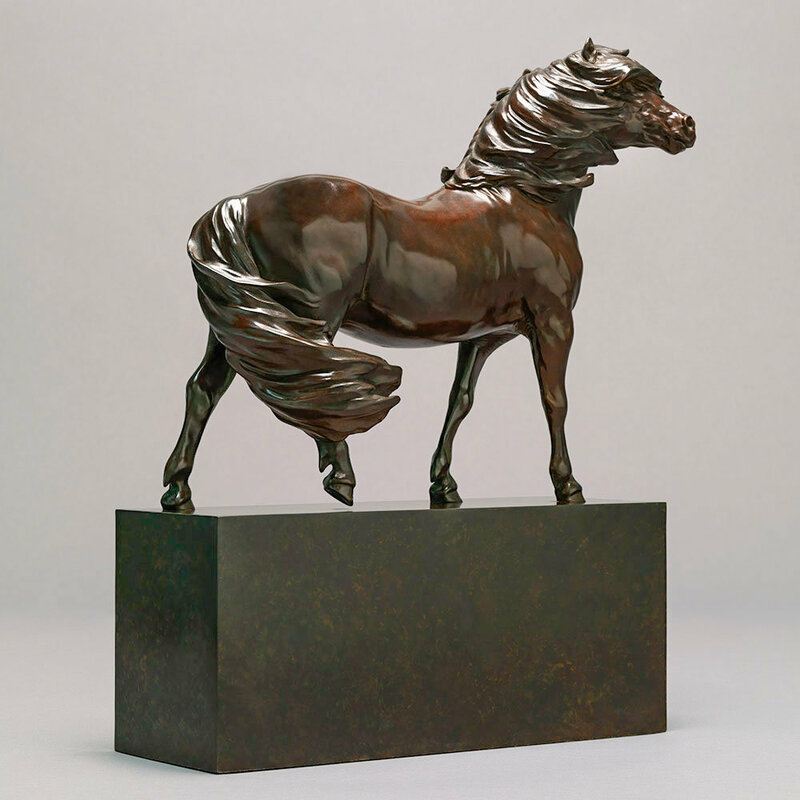 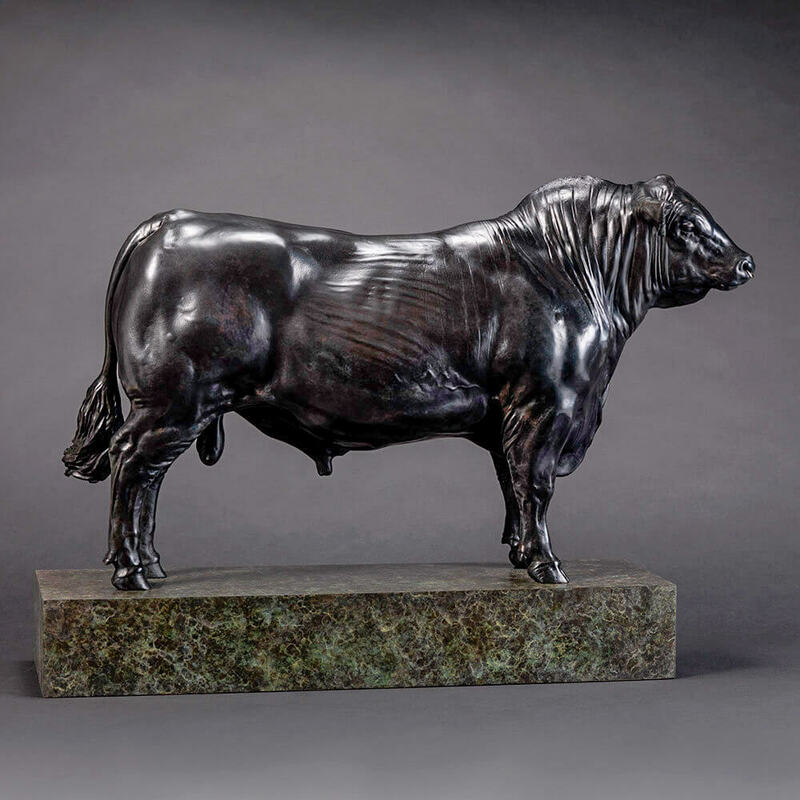 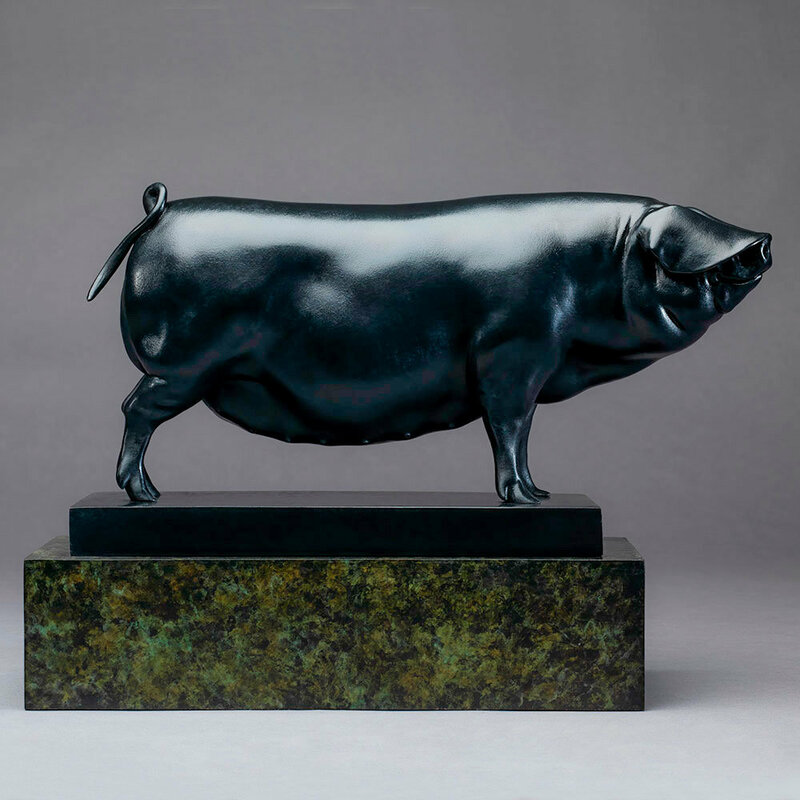 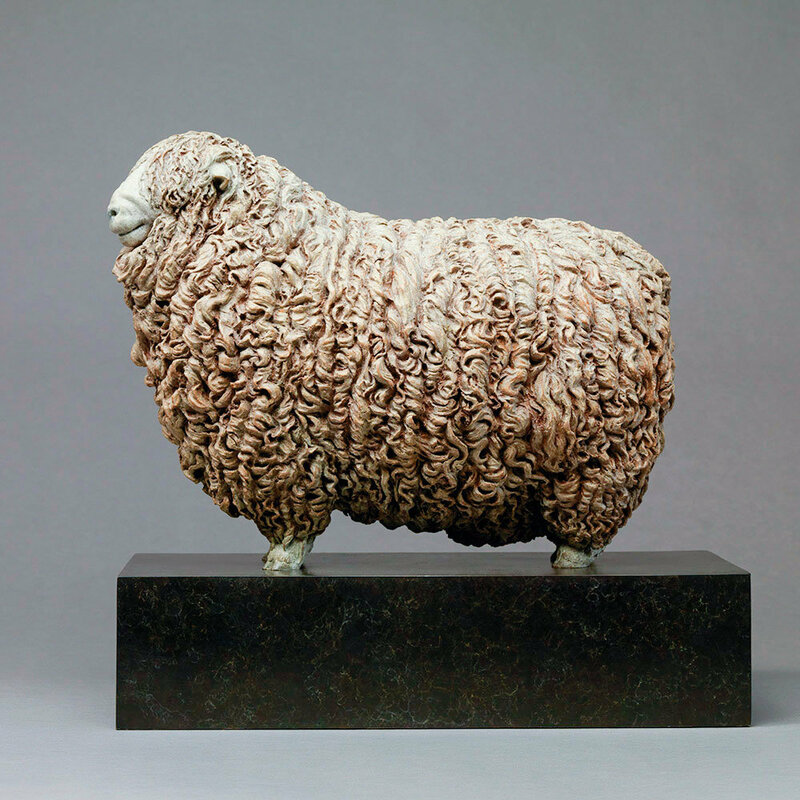 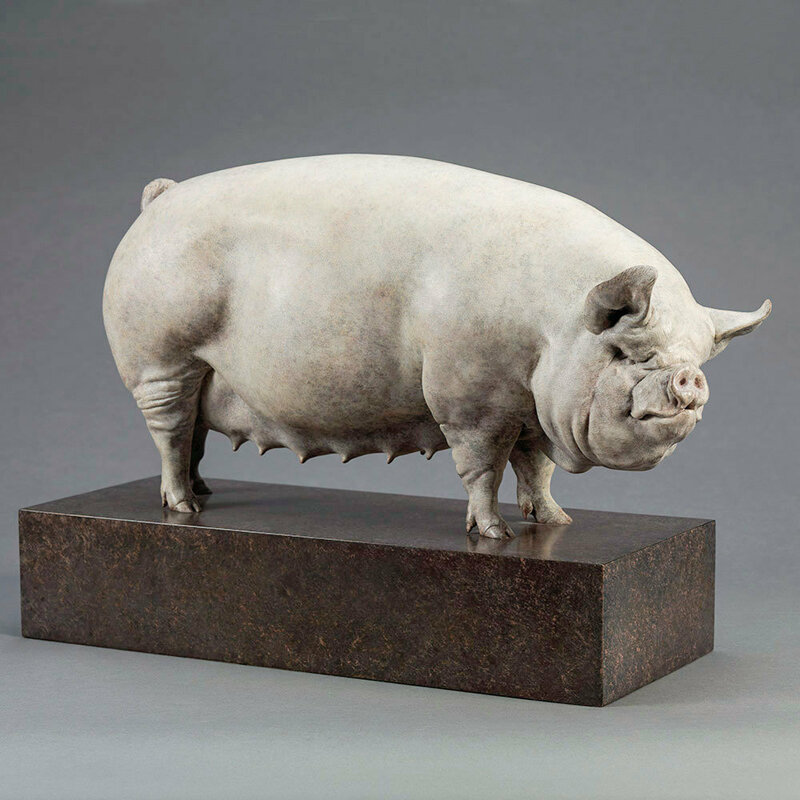 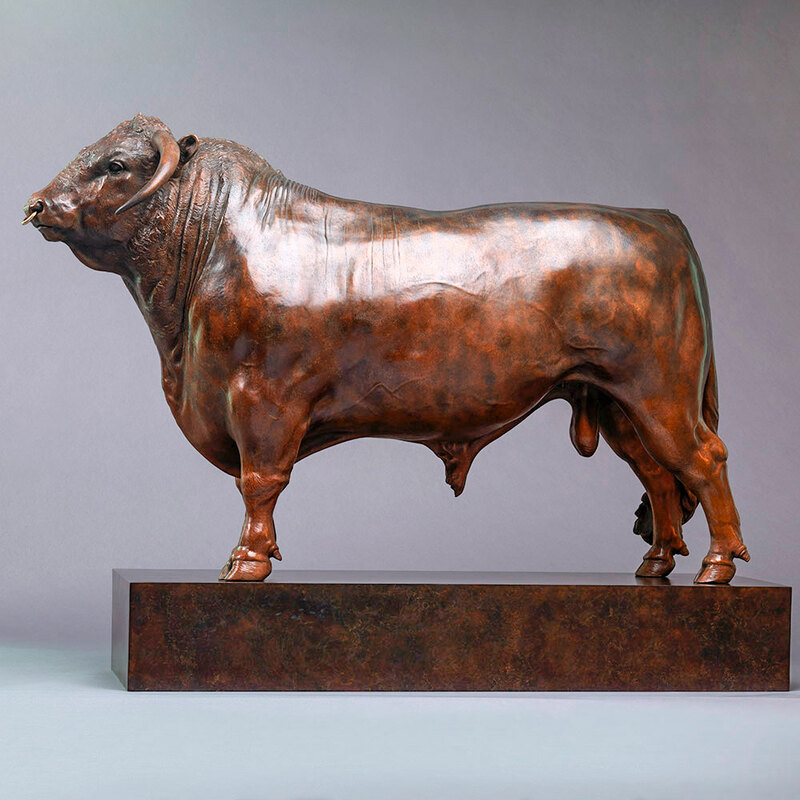 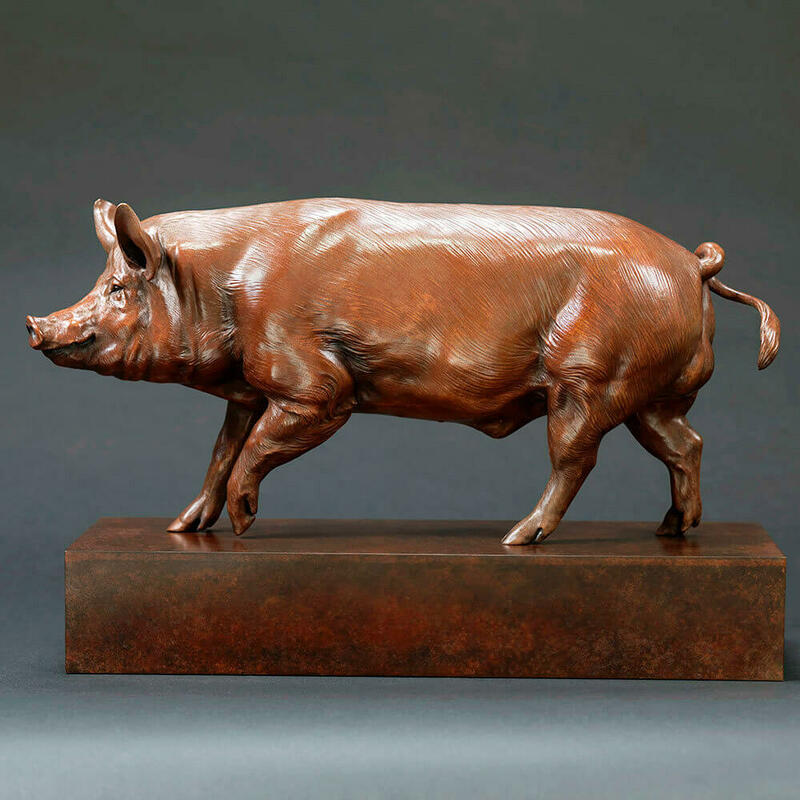 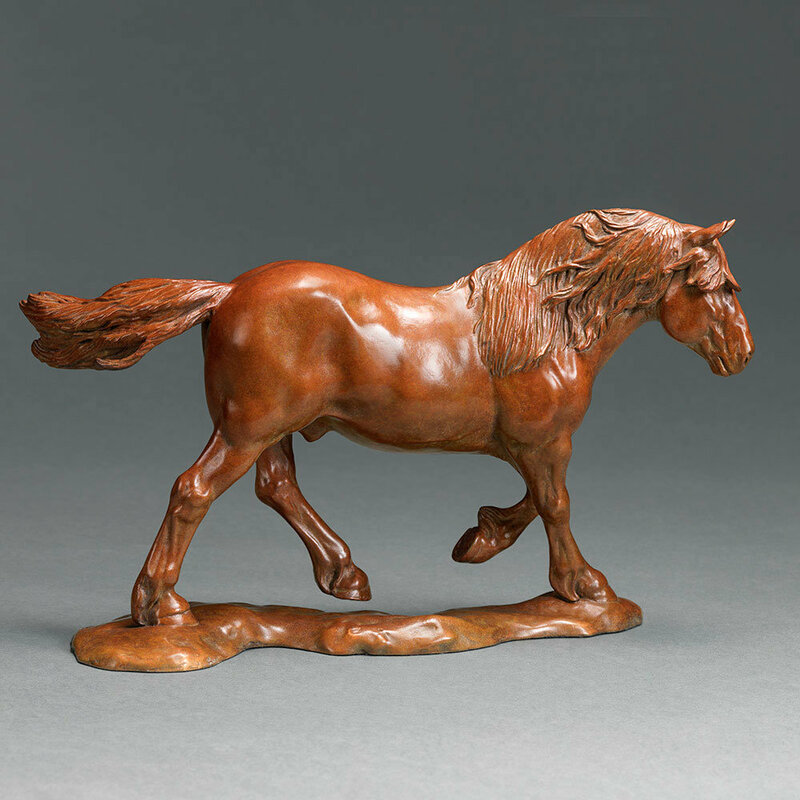 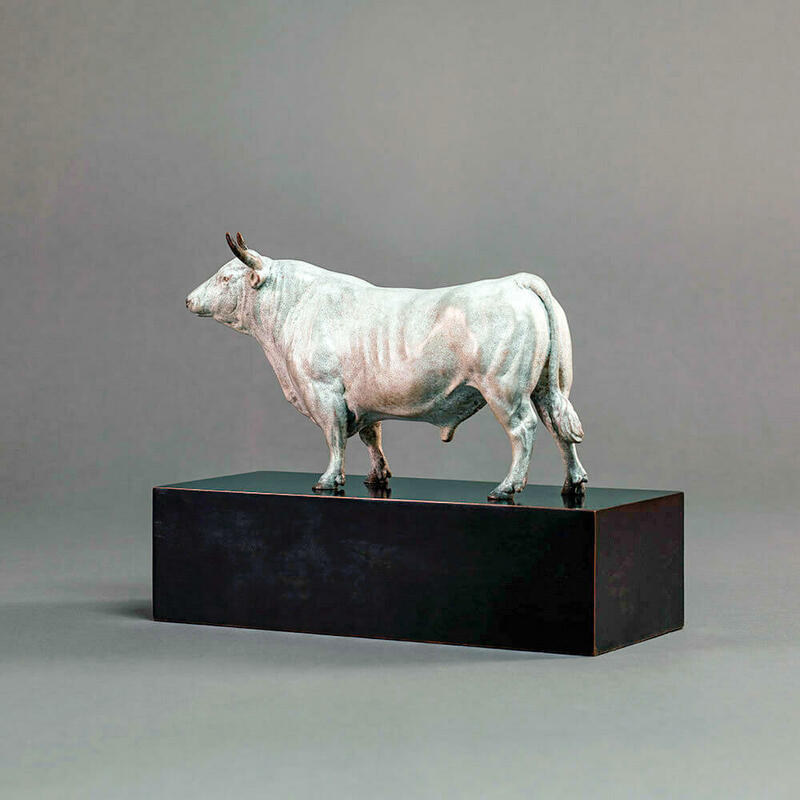 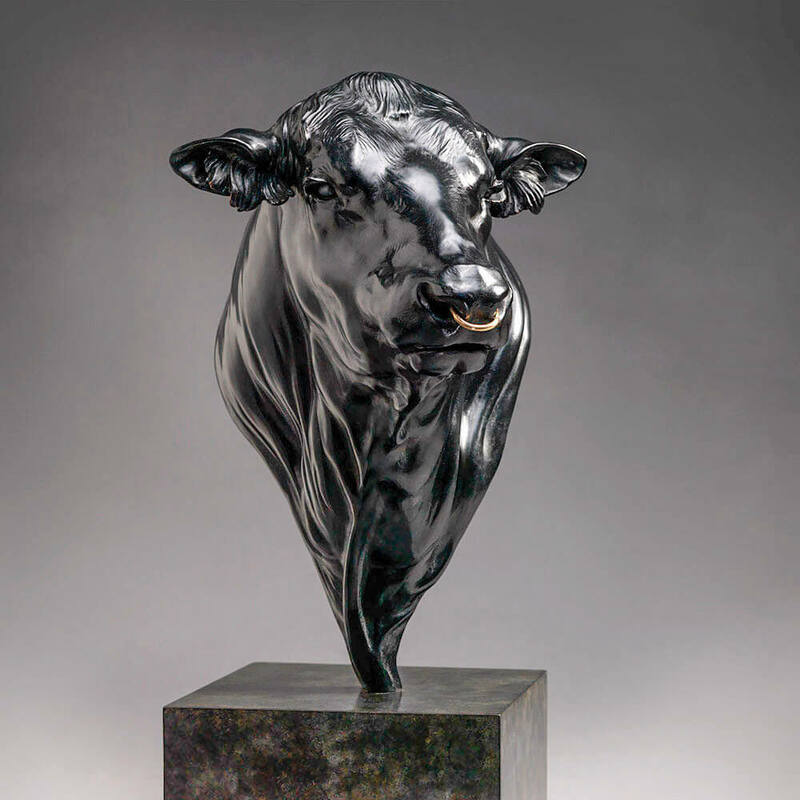 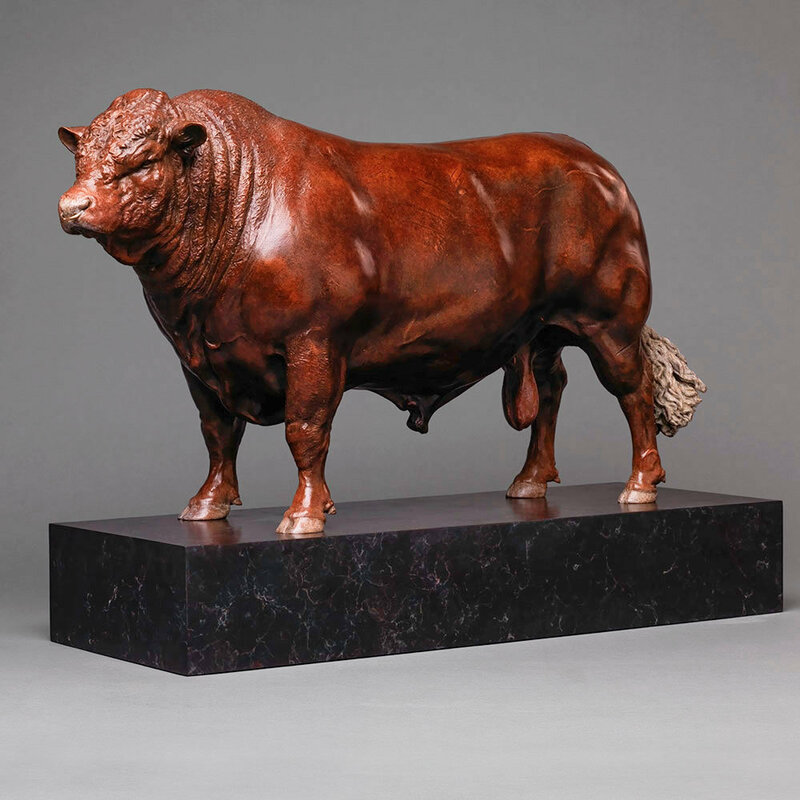 This magnificent bull is also available as a small, 20″ long bronze.